If you want to control and improve the quality of your produce, a simple and powerful control system for your refrigeration systems can be the difference. With our touch-screen control systems, the tools you need are a tap away. They’re built on in-depth knowledge of agricultural industry needs, and can be customised to your exact requirements. Bradley Refrigeration custom touch control panels can be included with any of our agricultural solutions. 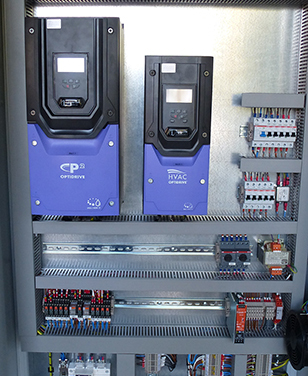 Our expertly-designed refrigeration control panels can deliver significant business benefits. We offer system design, supply, installation and maintenance across the UK. Remotely control and monitor multiple agricultural storage sites, from one location. Respond more quickly and decisively to issues at other locations. As part of your new refrigeration solution, advanced inverters deliver cost-saving energy efficiency and greater control of storage environments. We’ve designed our touch-based refrigeration control systems based on decades of agricultural industry experience. But we can also customise them easily, to fit your unique requirements. Upgrade your existing refrigeration system with an intuitive, customised touch control system that can reduce your energy bills. If you need simple, comprehensive control of your refrigeration systems, our expert team can help. Call us today on 0114 236 9971 or email us.